College Disorientation Guides were primarily a resource for people who came from lower socioeconomic backgrounds and who were most likely first-generation students. These guides were created for people who knew nothing about university culture and life because their parents never went to university or their siblings never went to university. The original disorientation guide from 2005 introduces itself like this. The DisOrientation Guide is a radical alternative resource that aims to inform UCSB students about social and political issues in the local and global community, and to facilitate involvement by introducing students to the numerous campus and community organizations working for social change. It is an introduction, a critique, a catylist, an invitation, a directory, and more! 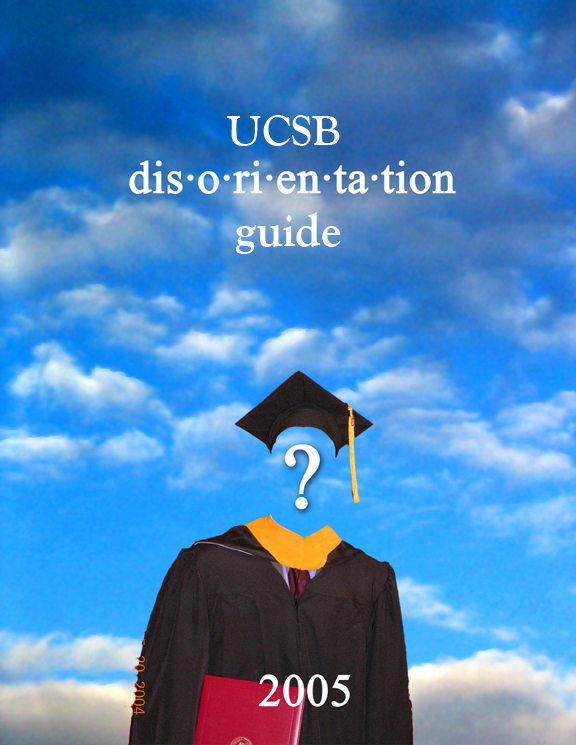 My name is Marco, and my goal here is to bring back UCSB’s archaic dis-o-ri-en-ta-tion Guide from 2005 and revive it. With the help of web.archive.org and my own InDesign experience, I believe I can make this happen. This is NOT a one-person project however. While I’m going to probably useless lengths to revive a pretty damn good resource for the community, this takes work. Have any questions or want to shoot me a message?